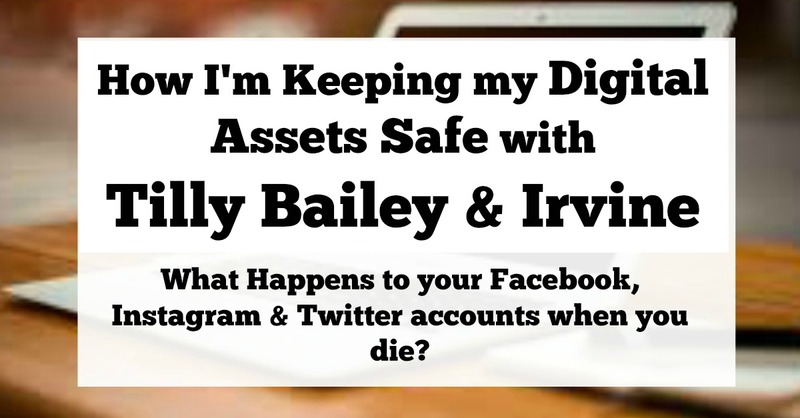 What happens to your Facebook page, YouTube videos, Paypal account & Instagram photographs when you die? It's a subject that nobody likes to talk about but as someone who shares a lot of my life online, I think it's a really important issue that definitely needs to be discussed more. According to Mashable.com, Twitter can start deleting accounts after 6 months of inactivity! Yikes! I have sent almost 40,000 Tweets and it's sad to think that this part of my life can just be wiped out like that. I was also really saddened to learn that up to 10,000 deceased people are wished Happy Birthday on Facebook every day. This actually happened with one of my family members recently and was very upsetting for all involved. You can memorialise an account on Facebook but until I looked into this, I didn't know anything about it. 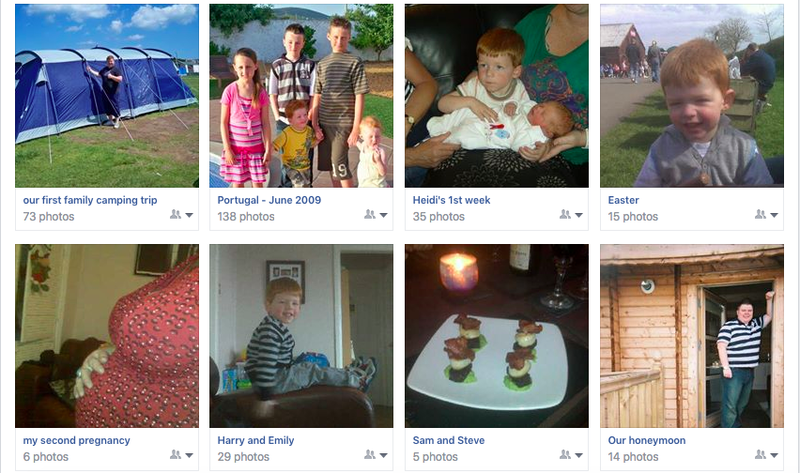 In most families, it's mum (ie me) who posts the majority of photographs of our children on Facebook. I am the one who shares little family videos on YouTube and stores our family photographs on Flickr. Steve rarely does this (it would probably be a bit weird if we both uploaded the same family photographs) and it would absolutely break my heart if something happened to me and Steve and the kids weren't able to access these precious family memories. Likewise, Steve is the one who has Netflix, Amazon Prime and Spotify accounts set up in his name. I have no idea what his logins are and if anything happened to him, I wouldn't have the first clue how to cancel these subscriptions. There's also my blog to consider - I know it's my business but primarily it's an online diary of our family life. I love looking back on old posts and photographs of days out with the kids when they were younger and want this online legacy to last forever and for my children's children and their children to be able to look back on our life together. It is shocking to think about this but I have absolutely zero protection or plans in place for my blog. Nobody knows my google login and if anything happened to me tomorrow, my family wouldn't be able to access or continue writing my blog which really upsets me. When we complete our wills or think about the future, it's usually our house, family heirlooms, jewellery and other assets that are at the front of our mind but what about our digital assets? There are expected to be 33 million Facebook accounts in the UK by 2018 - that's a lot of digital material and I am glad law firms such as Tilly Bailey & Irvine are urging us all to think about what will happen to our digital assets in the future, as well as out physical ones. Tilly Bailey & Irvine are really on the ball and have created a Digital Assets Keepsafe which is FREE for anyone to download and complete. You can download your own FREE Digital Assets Keepsafe here - just scroll to the bottom of the page and add your details. It takes around 20 minutes to complete and I think it is definitely worth setting some time aside today to do this. The Digital Assets Keepsafe has been designed to be a safe place where you can keep the logins and passwords for your online accounts together in one safe place. This simple form will make life a lot easier for the executors of your will and provides extra peace of mind. Obviously, common sense should be applied and you should not share passwords with anyone or leave this list lying around the house for all to see. Once you have completed the form, Tilly Bailey & Irvine suggest storing in a safe place and can even store a copy for you (see here for details). The Digital Assets Keepsafe is a simple four page document. I would suggest completing a separate Keepsafe for every member of your family - yes even your kids and teens! There is a column to add your log in and passwords and then another box to add your instructions/wishes. I have downloaded, printed and completed my own keepsafe this week and it really provides food for thought. I would like my email accounts to be closed (who would need these?? ), would like my Facebook profile to me memorialised and would like my blog to be continued between Steve, Harry, Heidi and Jack. There are some things that I hadn't even considered such as our laptops - I have no idea how to access Steve's MacBook and he would like to pass this onto the kids if anything happened. Writing the login and password down will really help to minimise stress if we ever find ourselves in this situation. I feel so much happier now I have completed my own Digital Keepsafe and no longer feel guilty about being the only person in our family to upload family videos or photographs. I now know that Steve will be able to access them in the future if needed. I am pleased I have a plan for my blog now too and my wishes have been expressed. It's not something I've ever discussed with the kids before and it's a relief to have something in writing now. Passwords, accounts and logins change over time and your Digital Keepsafe should be updated regularly. I have decided to complete a new Digital Assets Keepsafe every time my car goes through it's MOT. Have you considered what will happen to your Digital Assets when you die? 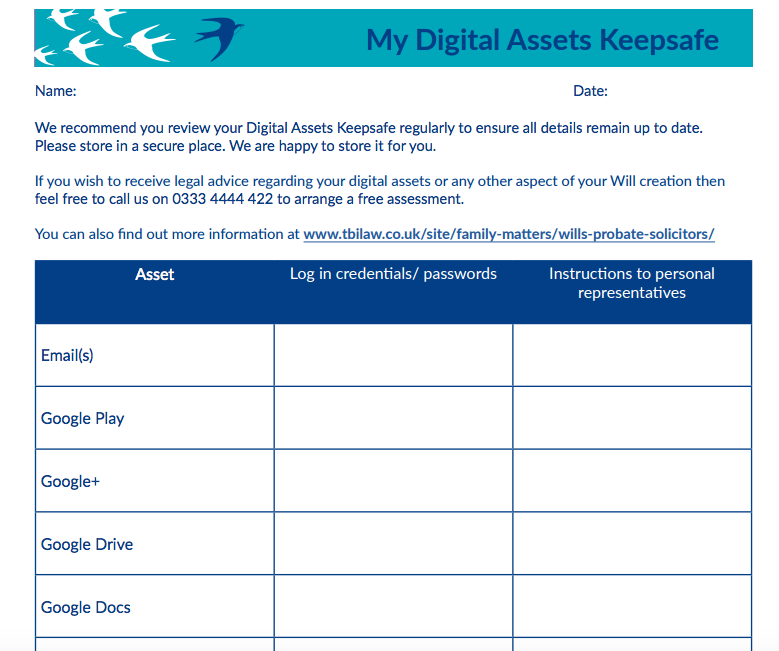 If you do one thing today, I urge you to download, print and complete your own Digital Assets Keepsafe. It only takes 20 minutes or so to complete and will provide you with reassurance and extra peace of mind. You just don't know what's around the corner, so please don't put it off. Really interesting topic and something worth looking into. I would also urge anyone to get power of attorney as assets can be seized by the government. My dad had real trouble sorting this one out when my grandma was diagnosed with dementia as by then it's pretty much too late to sign. Thanks Cat - I think planning for our death is something that we usually aren't comfortable in talking about but the more we do, the better I think. This is so handy, thanks for sharing it Sam. I have so many online accounts relating to my personal life and then blog, and I definitely want to make it easy for my family to access them to do what's necessary should the unthinkable happen. It's such a good idea and so quick and easy to complete. Gosh that's a really good point about your blog, I don't think anyone could get into mine either and I'd hate for them to lose it if something happened to me. Thanks for making me think, this looks like a great product. This is something I'd never thought about until now. We need to update our wills anyway, so it would be good to include this information now. I'd definitely trust Tilly, Bailey and Irvine with the details, they are in my home town and are very reputable. Thanks for bringing this to our attention! Such an interesting post and definitely food for thought. Thanks for sharing. Gosh what a lot to think about isn't it! This is a really good idea. It feels morbid doing things like this but actually it's just sensible. And once it's done, you can forget about it.